Have a look at our videos to see what our students and staff have to say. Alhambra Instituto cares about student feedback and we are proud of our student testimonials. Here, you can see our classes, different levels and ages, special courses, activities and testimonials from our students. Additionally, you can view more videos on our Youtube channel. Check back here to see new and updated testimonials from our students and staff. Similarly, please see our written student testimonials on Google for more statements from past students. Did you previous study at Alhambra Instituto? We would love to hear from you. 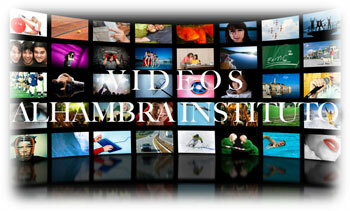 Please do not hesitate to email us at alhambra@alhambra-instituto.org or call us on +34 952 204 877. Please make sure that you include your full name and the course that you studied.